Some of our planet’s most impressive animals are under threat today. 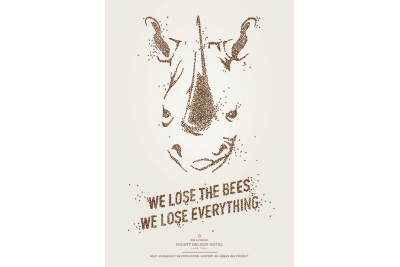 The rhino, tiger and panda have become poster children for global extinction campaigns. 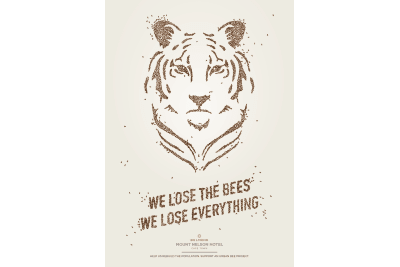 The reality, however, is that the extinction of the humble bee (as pollinators) holds far worse consequences for our entire ecosystem. 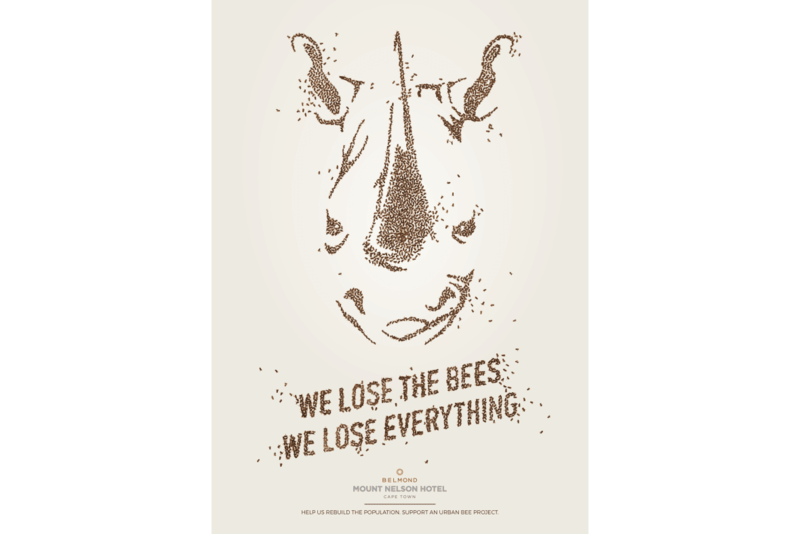 We hijacked these familiar faces of extinction to highlight the plight of the bees in a campaign for the Belmond Mount Nelson Hotel that seeked to raise environmental awareness of the issue with their local and international guests. 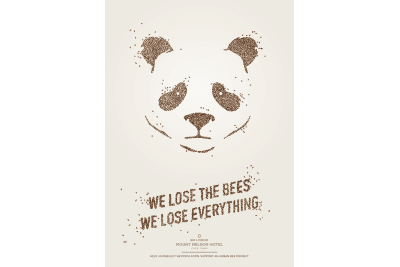 Our message was quite simply this: We lose the bees, we lose everything. 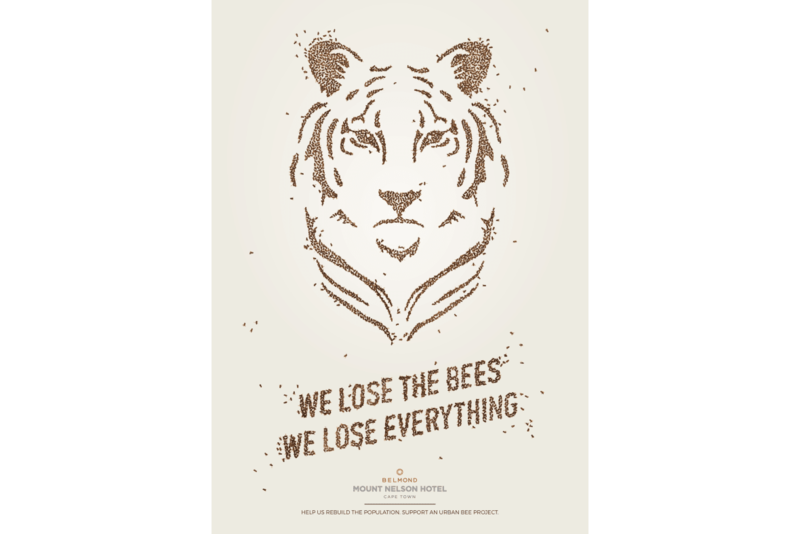 For maximum impact, we used the subject of the campaign (dead bees) as the medium to create large format artworks. Tens of thousands of dead bees from infected Cape hives were collected, dried, sorted and carefully fixed onto canvas. 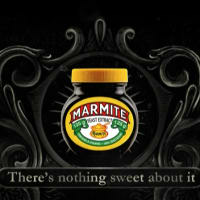 In this way, our very cause became the ink in our pens, the typeface for our words and the paintbrush for our design.